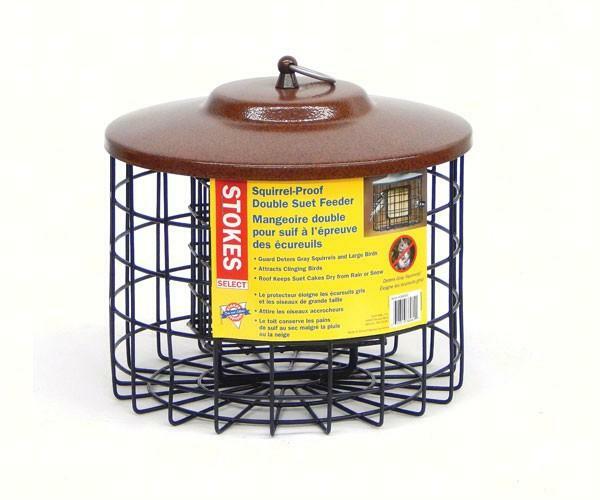 The Squirrel Proof Double Suet Feeder deters gray squirrels and large birds from reaching suet cakes. 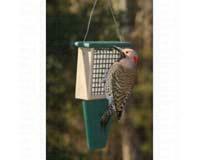 Feeder attracts clinging birds such as Woodpeckers, Nuthatches and more. Durable metal construction has a weather-resistant finish. 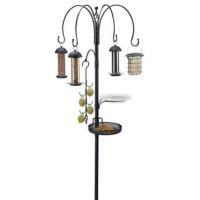 It has reduced the number of suet cakes that we have to buy. 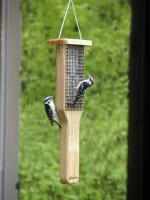 It didn't take long for the birds to learn how to get inside the cage to eat the suet. The woodpecker and still get to the suet. 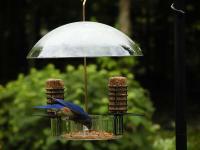 This is the best bird feeder I ever had. I buy more expensive seed for the beautiful song birds I get & decided to spend the extra money when the starlings were eating everything! Now I have my song birds again. Also not wasting my money.